If a politician on the rise can go missing in Denmark without much fuss, consider how easy it is for a troubled teen to disappear. She came from money to, but found herself stuck with an antagonistic stepmother. 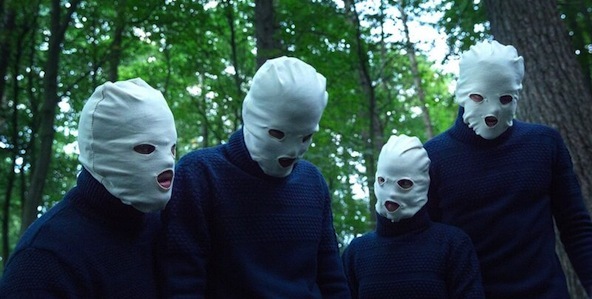 That led to boarding school, where anything can happen, including murder. Her case comes to Carl Mørck through a particularly tragic set of circumstances, but that guarantees he will see it through to the bitter end of Mikkel Nørgaard’s The Absent One (trailer here), which opens as part of the entire Danish crime trilogy this Friday at the IFC Center. Technically, this is not a cold case, but Mørck is not inclined to care. A distraught former copper committed suicide after unsuccessfully entreating Mørck to reopen the investigation of his murdered twin daughters. Even more guilt-ridden than usual, Mørck starts perusing his disordered files, finding plenty of suspicious stuff. The incident in question turns out to be one of several that took place near a tony boarding school—always on Sunday nights, the entitled pupils’ only day of rest. Gallingly, the townie who took the fall received a suspiciously light sentence and has since prospered. Connecting the dots, Mørck and Assad soon focus on the hotel heir Ditlev Pram and his privileged bestie, Ulrik Dybbøl. Pram’s former girlfriend Kimmie Lassen could surely shine some light on their activities, but she has gone off the grid. Emotionally damaged by her experiences with Pram, Lassen tries to live an anonymous existence as one of the faceless homeless. Unfortunately, Pram will send his fixer to find for her, when his highly placed police contacts inform him of Mørck’s investigation. One of the great weaknesses of Keeper is its villain, who turns out to be rather bland when we finally meet him. Absent One partly rectifies that, casting two of Denmark’s most recognizable actors, Pilou Asbæk (A Hijacking) and David Dencik (Tinker, Tailor, Soldier, Spy) as Pram and Dybbøl, respectively. They are pretty odious. Kaas and Fares continue to build a reasonably credible odd couple rapport together, while Johanne Louise Schmidt adds a humanizing touch as their lucky new assistant Rose. Again, Absent One is more thrillerish than mysterious, but somehow Nørgaard manages to take it to an even darker place, which is jolly impressive. Even though it is longer, it also feels tighter. 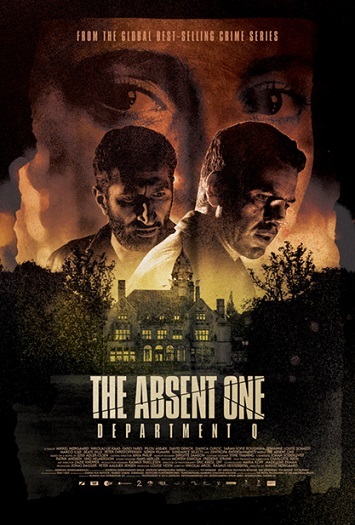 Altogether quite compelling, The Absent is recommended in its own right and as part of a binge-watch when the entire Department Q trilogy opens this Friday (6/17) in New York, at the IFC Center (with separate admissions).